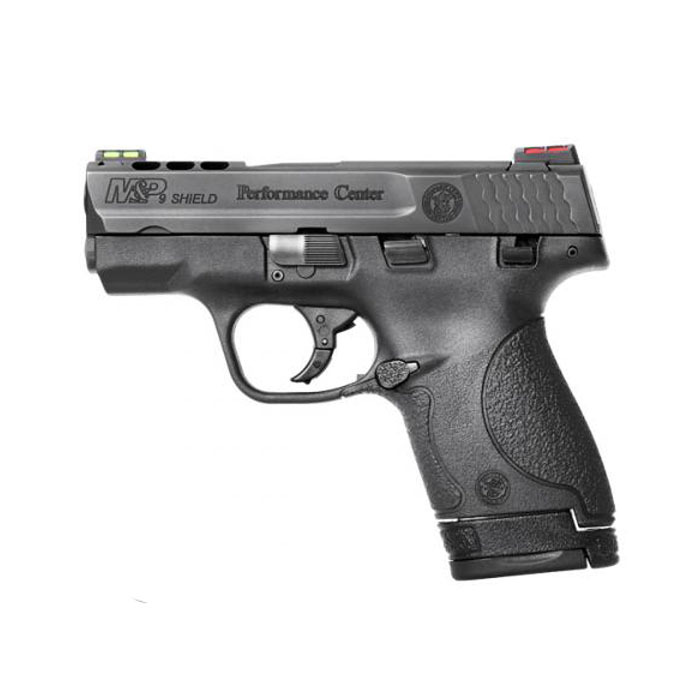 Direct from the Performance Center Custom Shop, the Smith & Wesson M&P Shield 9mm features the same lightweight and durability that it is known for, but with added custom shop enhancements. Features include a ported barrel and slide, HI-VIZ fiber optic sights, thumb safety, and a crisp striker fired trigger pull. Comes with one 8RD extended magazine and one 7RD flush fit magazine.